Take the "Cactus Avenue - Moreno Valley" exit East off I-215. Head east to Main Gate entrance on right. Although the main gate (Meyer Gate) looks intimidating for large rigs to maneuver, it's not. There is plenty of room to get around the barriers. Once through the main gate, continue down Graeber Street for 1.5 miles. Turn left BEFORE the ATC tower on the road known as Riverside Drive, then a quick right onto "Y" Street. FamCamp is in front of you. Check-in is at the FamCamp office (Bldg. 610), located in the laundry room. For evenings and weekends, there is a self check-in box. More details on self check-in are available at Bldg. 610. Free WiFi available at the FamCamp. Pets are allowed, with usual leash and clean-up rules. 2 pet limit. 14 day stay-limit, which can be extended (if no one on the waiting list) up to 6 months maximum. Dry camping pn the grass next to Bldg 610. Use the Main Gate to access the Commissary and BX, which is just outside the Riverside gate(only open on UTA weekends). Consolidated club and pizzeria hours are limited. Coffee and notions shops in lodging building 100. Base is convenient to downtown and shopping malls. $14 discount when pre-pay for 14 days. Firearms must be checked in with Security Police. We were concerned we wouldn't get a hookup spot, but after 1 night dry camping we got a site. Seems to be reasonable amount of rotation in and out. We had a spot on the paved area, but with full hookups. 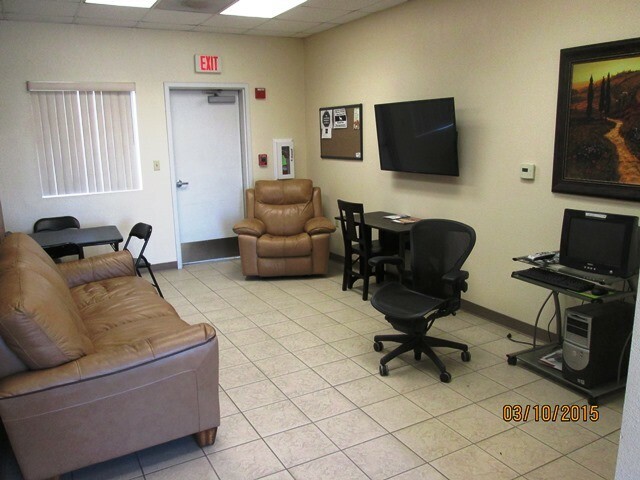 Base is convenient to shopping and visiting in the greater area. Base itself has lots of interesting history, which is shown on various plaques you find when you walk around. Price is quite reasonable for an urban area. We would definitely stop here again. Smaller CG with older facilities and hook-ups. Park manager was friendly, professional and accommodating. 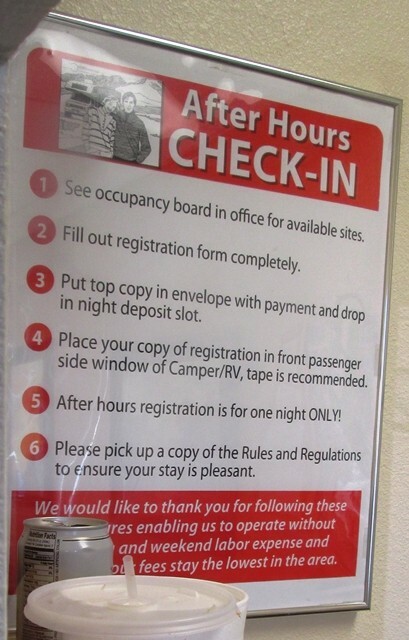 Office hours are 0830-1200 and 1400-1600 weekday (closed weekend so weekend check-in is with a camp host). Call a day or two ahead of time to determine availability. 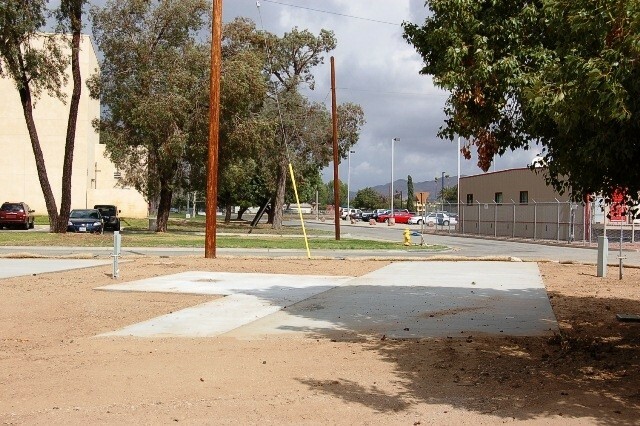 Park was generally clean, the interior campsites were well spaced level and had concrete patio pads with tables and/or chairs with umbrella. The exterior sites were on an asphalt parking lot very close to the flight line and with a large grass common area in the back. Perimeter asphalt sites had hook-ups at the very rear requiring an extra sewer hose to make the connection. Additionally, sewer hook-up was higher than the rig’s outlet preventing gravity from flowing water through the sewer tube. Dry-camping overflow is available - sign up in office for next available on first come basis. They are supposed to hold to a 14-day max stay and presumably the overflow wait list allows for occupying the next available spot. However, it appeared many were staying beyond the 14 day max making those in overflow wait several days. The designated overflow area gets really swampy in the rain. Not much to do on the base itself. Commissary and PX were a 10 minute drive off the base compound. 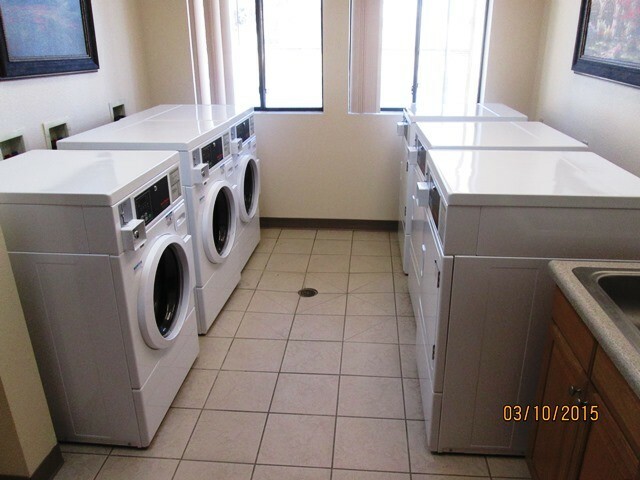 Clean laundry with $1.00 for both washer and dryer. Campsite price is right at $17/night for what you get and good for a short stay if you need one in this area. Have stayed here previously and worked out ok. This trip hoped to spend a few days here but no availability when pulled in and they don’t take reservations. Would have to dry camp in the dirt until site available. 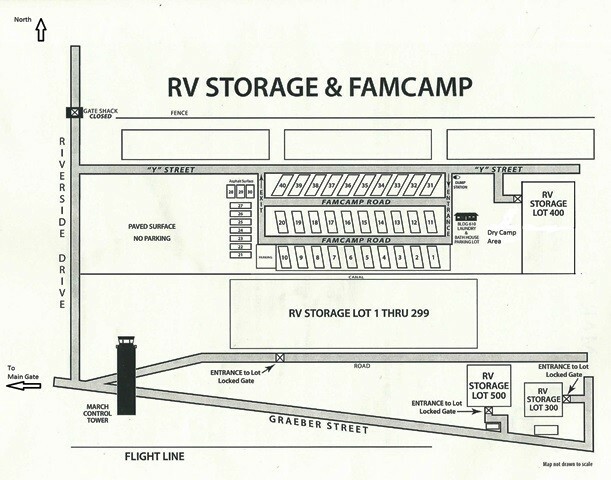 Asked one of the Camp Hosts if they knew of RV parks in the area and pretty much got a “think so” but no real info. Turns out Riverside County has a regional park not that far from March. 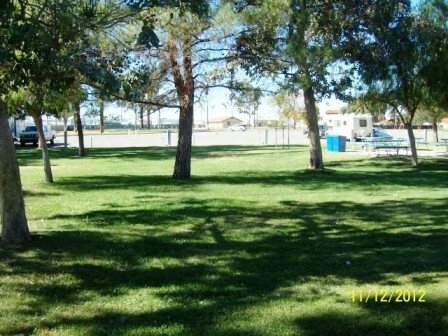 The park has two campgrounds in it and plenty of sites available (weekends get busy, they take reservations). 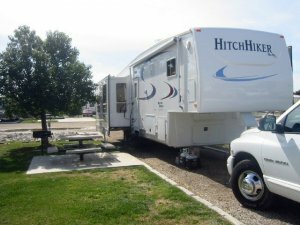 Not a cheap place to stay but better than commercial RV park. Sure would have thought the Camp Host would have known this, seems like they should be there to help fellow campers. Disappointed with March ARB FamCamp service. Stayed for 3 weeks, had a great time. The site are very level and fairly easy to get into. Mike the camp host is a great guy who keeps the facility very clean and does his best to insure the rotation through the full hook up spots is fair. The Riverside gate is only open during 3 two hour periods per day on exercise weekends. The rest of the time the Cactus gate has to be used. 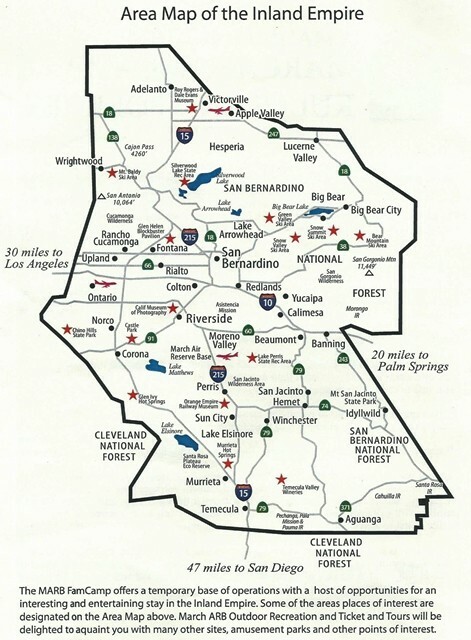 As a born and raised So Cal girl from the coast, it's hard to get excited about inland empire California! 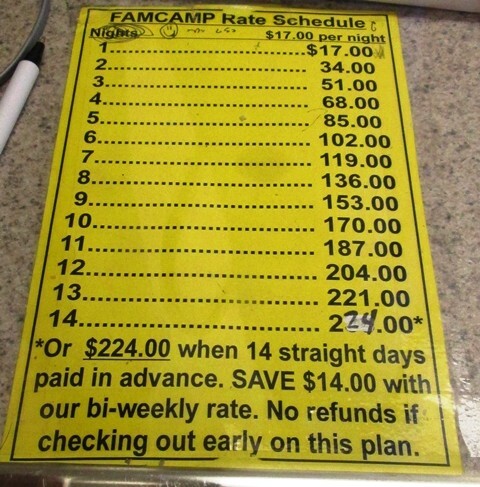 The area near and around March is a little seedy, but the famcamp is - as always - affordable. This camp is a little further on the base than most and the closest gate was closed the whole time we were there. Keep driving, you will eventually get to the park. There are a lot of permanent/full-time RVs there: lots of kids running around, lots of cars taking up the road (we couldn't make the turn into a pull-thru site because a truck was in the way and no one was around to move it). The attendant was great and the bathrooms were clean. The exchange is WAY removed and actually off base, but had a good assortment of items MINUS California tax! We never did find the commissary or a base gas station. 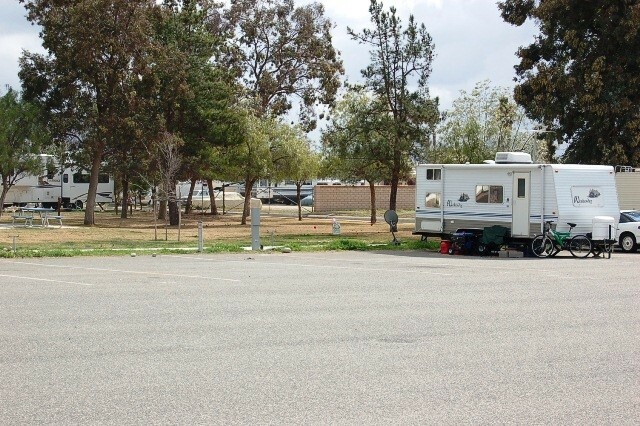 Compared to skanky RV parks in nearby Perris and Lake Elsinore, this famcamp did the job for a few days. Had a family wedding to attend in Moreno Valley/ Sunnyvale of old timers so thought we would try it. Scoped it out couple years ago. Hook a pull thru site tree blocked direct tv but had plenty of Otha channels. Restrooms were super clean along with laundry room. Electricity was stable, grass green and cut. Price $17 a day. No complaints. We called ahead to check availability, and were told over 2/3rds of the spots were unoccupied. It turns out they are unoccupied because there are renovations/construction planned, and they will not allow anyone to use the main sites until after the construction in the area is complete (despite no visible construction happening to the park itself). As of 13 May 2016, there are only 7 asphalt sites with hookups available on a waiting list, for which you must be physically present to be given a spot when it opens. The waiting list had 5 names on it when I signed up, hoping for a day or so with A/C before we move on. Hopefully next time we drive through the area the construction will be complete and this famcamp will actually have spots with hookups available. Absolutely nothing special about this famcamp. Very small place. 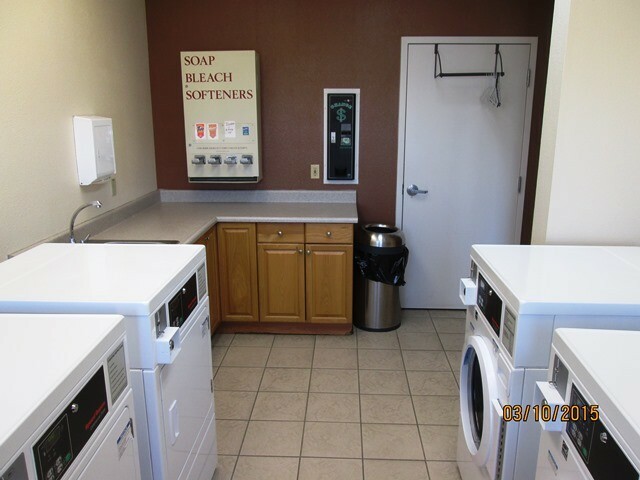 The laundromat is fairly clean, machines are $1.00 each. Clean site with plenty of room. Some homesteading going on. The view it terrible. It overlooks a storage lot with mostly abandoned/junked vehicles. Watch out for the squirrels, they climb up inside your vehicle engines. One guy has two little dogs and he walks them several times a day but never cleans up after them. Never used the bathrooms. Overall I guess it's just ok. I read about March FamCamp often and most folks give it low marks. It is what it is and if you play by the rules you may appear to be a homesteader. We have been in the same spot on a 2 week renewal since we arrived in November so we could be a " Homesteader". They offer a monthly rate of $16 times number of days in the month but it is limited to 10 rigs and have a waiting list. We just paid for Feb on this schedule but will leave in late March so we will go back to the 2 week schedule soon. Renewal is all a matter of timing. This place is most busy during the summer, on the weekends and during UTA weeks. If you are unhappy about the space you are in you can move to a better one just let the office know your intentions. True it needs work but like any project it takes planning, money and good priority status. Having talked to the higher ups over my times here I have learned that this place is low on all the priority lists but the management is always fighting for money. Henry is the normal office person during the week, is quite knowledgeable and very helpful. True the Wi-Fi system needs work like more boosters in the west end of the park but again money and priority prevail. Right now a new PAX terminal is being built across the street plus the old tower building grounds is having some work done. Stayed over a weekend and then returned a week later for a 2-week visit (just now starting the 2 weeks). Both times parked on the asphalt back-ins and liked them. Have space between each site to park a tow vehicle, etc. between rigs. Full-hookups for theses sites. Quiet. Concur with pinonkaty that it appears as though the nice pads are quickly grabbed up and folks here for the long haul. For us though the asphalt sites work. Internet is obtained in the office/laundry/TV room, which isn't as convenient as having in the rig but at least it seems to work. Was easy getting in the main gate with lots of room to maneuver a big rig through. Commissary is decent but Exchange is on the small size. We will be making this our home base for exploring the area. For us this is a good famcamp and we have stayed in many across the US. Not perfect but good for the price. Good luck getting a decent site. 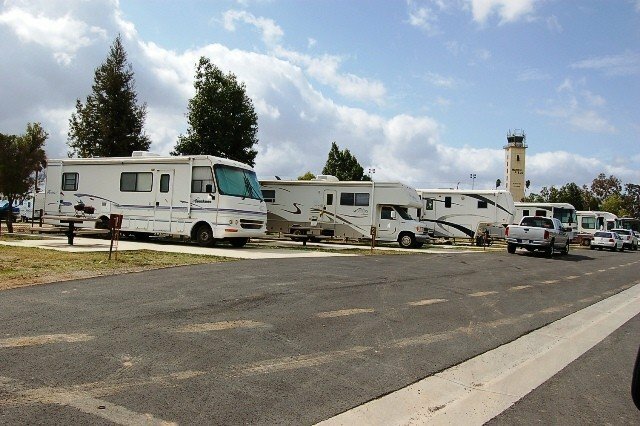 We visit a few times a year and see that this famcamp has become a trailer park for those working on base. The nice back ins are taken up by about 15 or so full timers. That leaves a few sites on the asphalt with no tables, just plug ins or the narrow, rocky pull thrus in the middle. 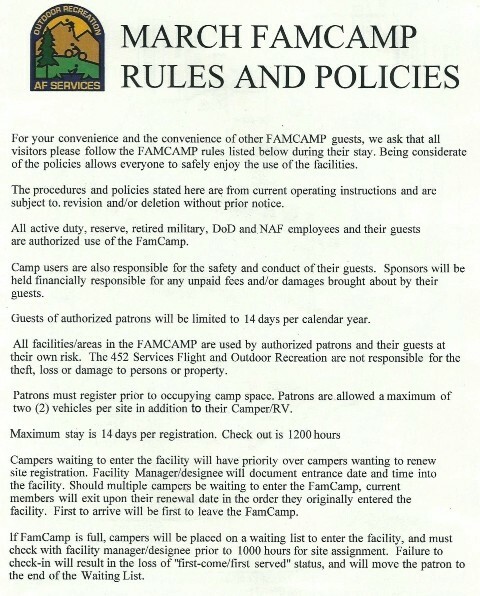 Management needs to follow the rules and take better care of this famcamp so all military have access to it. Ants are also a big problem. The sites were not marked in the area we parked in, you had to know the first site closest to the dumpster was site 30 and you had to count up to your site to get the correct number. The guy at the Laundry/office/lounge was clueless about anything associated with the camp ground, base or the community. 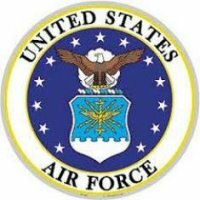 Since this is a Reserve base the was very little that the base had to offer. 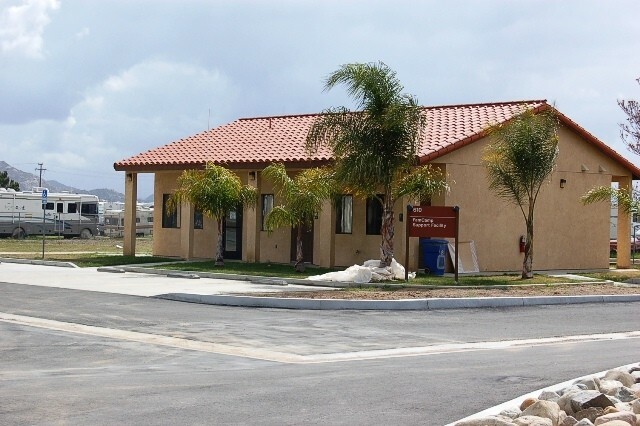 If you need medical you have to go to the VA in Loma Linda or Navy Hospital Camp Pendleton. I had trouble getting my mail because the camp mailing address is incorrect and should be changed from: (Your Name), c/o General Delivery, 23580 Alessandro Blvd., Moreno Valley, CA 92553-9997 to (Your Name), c/o General Delivery, Moreno Valley, CA 92553-9997. This is really an example of great potential poorly executed. While the limited staff is friendly, many days no one is present, the park is poorly set up and maintained. First the upgrade of landscaping is an unmitigated disaster. 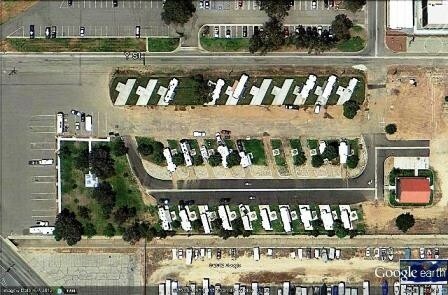 Whoever did it has no idea of the usage of RV parks. The pull throughs have river rock that is difficult to walk on...read easy to trip and fall and has cinder rock where you need to kneel down for hookups etc. Pet rules are a joke. Our next door camper was long term with two vehicles and two units on one site. Now the pets. Two chihuahuas crapped all over the grass you had to use to get to the rocks to get to the tanks. Of course if you stepped back at all you had dog crap all over your shoes. While I was leaning into my truck I heard the door on their unit and the two evidently raced to my leg and one bit me to defend the homeland. Luckily no skin was broken just caught my jean leg. Of course these were darling dogs who did not need leashes. Don't get me wrong I love dogs but I love responsible owners more and a properly monitored park even more. Now lets talk about site management. When you arrive you usually will not find anyone available to meet your needs or answer questions. You will find a note to call the billeting office and they will have no idea or number to call to find help. Yes they do refer you to the host sites which are carefully unmarked and with no one available either. DO NOT follow the directions in Allstays as you will end up on a closed road near a permanently closed gate. Since it is a dead end...good luck if you are back there with any length. The positive...well it is a great location, quiet at night and priced right. But had this been the old SAC base it was in the day you would never have to put up with the nonsense of this parks management or lack there of. IMPORTANT INFO - There are a handful of dry camping spaces available if the park is full. The price is excellent for the area. It seems most of the residents are long term campers. 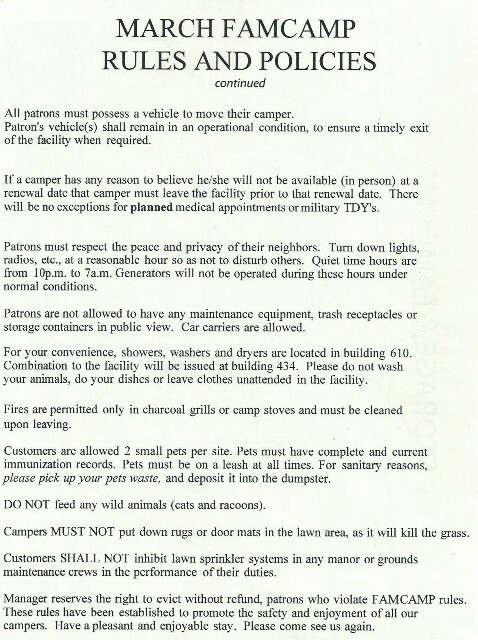 The maximum stay is actually only 14 days, not 30 as stated above, but residents can roll over their stay indefinitely if the park is not full and no one is waiting. I was told some of the residents have been here for years! Great park after crossing the desert from Texas in July!! Was a little confusing finding main gate to enter as base has been seperated. Friendly and helpful staff. Commissary off base...good once located! Campsites small but adequate. Good base to explore area. Did go into Riverside for 1st Thursday art show. Old part of town very nice. Would stay again. The most appealing thing about this campground is the price. 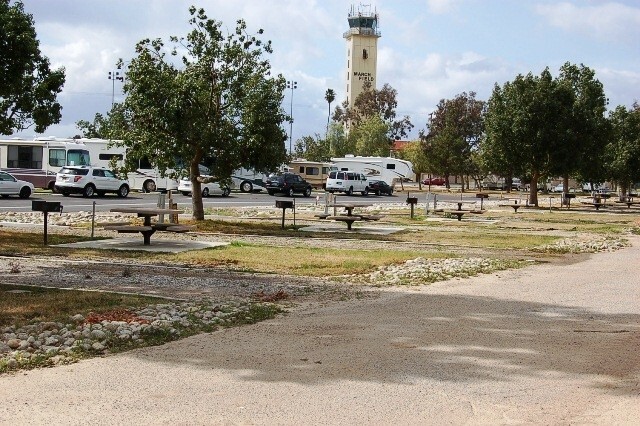 The daily rate for many military campgrounds in California exceeds $30. A few miles away, at Seal Beach, the daily rate is $30. Camp Pendleton is $38 unless you want a beach front row – that will cost $50. 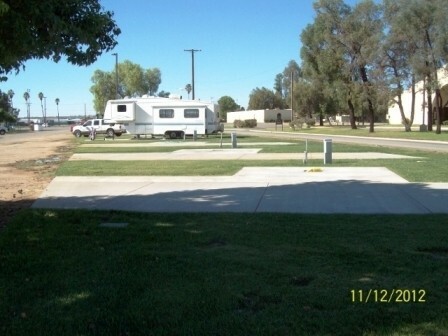 This campground, at $17, remains affordable even though it is near Los Angeles. 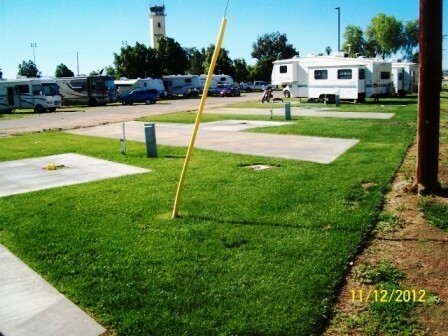 Upgrades over the years have resulted in concrete patios and RV pads on two rows. The bathhouses are modern and clean. The sewer connection is at the rear of the sites and I had to use about 25’ of sewer hose. The sewer connection is in a bowl-shaped depression so I could not use my elbow screw-in connector. I had to use my rubber doughnut instead. The campground is next to the runways and taxi areas but there was surprisingly little jet noise. Nice commissary and exchange for a reserve base. If the Riverside gate was open, they would almost be within walking distance. Otherwise, it’s 2 miles via the main gate. Large two-level indoor mall, Walmart Supercenter, Sam’s Club, and Costco less than three miles away. About 1/3 of the campers appear to be homesteaders. $17 per night make the campground a good value for us. We got a good campsite. We will likely go there again, but this campground is not one of our favorites. The place is devoid of any leadership in the management area. The guy at the desk made no attempt to be remotely personable which made us wonder. The fact that the hot water and internet were broken the two weeks we were there were symptomatic of deeper issues at the place. 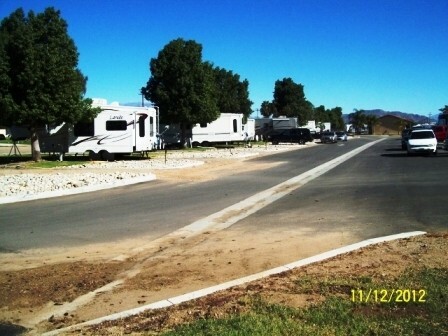 The pot holes in front of the new campsites means they don't care. Glad it didn't rain and we only had to content with the water and mud from the nightly watering. The location for us was the main attraction. With friends in Redlands it makes it a convenient stop. The fact that the base is a Reserve Base and has 1/2 of the buildings cordoned off with chain link fences through housing and streets closed off in neighborhoods makes it a little weird. This campground could be a great one, but not with out someone their who cares or a leader or manager who chooses to get involved. We were disappointed in the experience. According to a chart in the office, there are 17 out of 40 spaces occupied by "Homesteaders." One person is there for nine months??? When did it become acceptable for members of the military family to "screw" other members for selfish reasons? Reservists on drill weekends are using the campground as housing. Fellows, it is for recreation NOT housing. Dumpster full and will not be emptied. The good concrete and grass spaces are occupied by the "Homesteaders" leaving the narrow, tree encroached, unlevel gravel pull throughs for the rest of us. Very unimpressive. This is a pretty good FamCamp. Easy access through the main gate. There is grass and the sites are easy to get into. There is a large commissary and exchange, though it is quite a drive to them. There are a couple points, however that need attention. The internet service is very weak and sometimes only works if you access it from the office building. They took out the dog run to make room for new sites but haven't installed a new one. There is a very good place just behind the office that does't look like it would be good for anything else. It even has a fire hydrant. The park has no designated pet walk area and does not provide doggy bags so a number of disrespectful guests let their dogs go anywhere and don't pick up after them. I was told that there is no trash can in that area for dog refuse because the staff would have to empty it. Gee that would be too bad wouldn't it. Staff seems to do enough to keep their jobs but not much more. The camp hosts are very friendly and helpful but have limited power to make any changes.